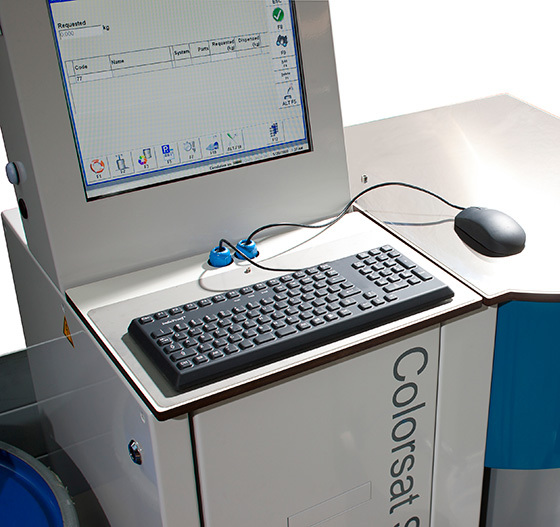 The Colorsat Slim revolutionised the printing industry, by offering the first affordable ink dispenser for the paper, board and flexible packaging converter. 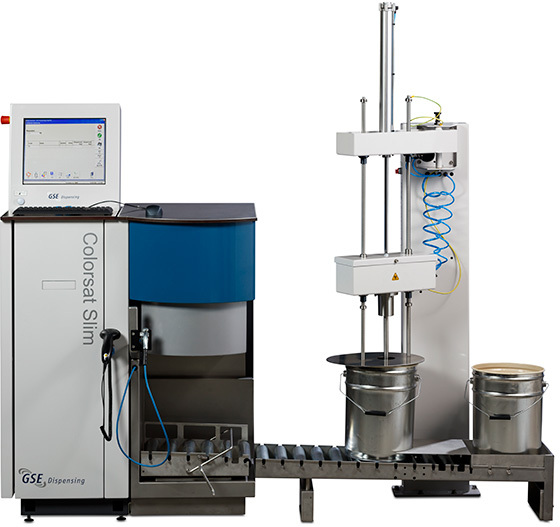 It is specifically designed for dispensing production batches of water-based and solvent-based printing ink into 25-litre (~ 6,5 gallon) buckets. 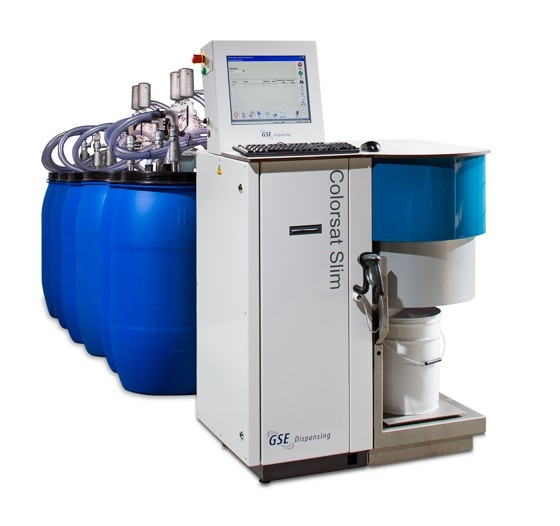 The Colorsat Slim includes a sturdy weighing unit that weighs dosages up to a maximum 25 kg to an accuracy of just 1 g. Furthermore, a wet and dry cleaning unit cleans the system after each dispense cycle, saving maintenance time. Key components such as the label printer and barcode scanner have been integrated into the control console. The addition of quick couplers to the hoses connecting the ink barrels to the dispenser makes faster, cleaner exchange of barrels possible, without risk of dripping. 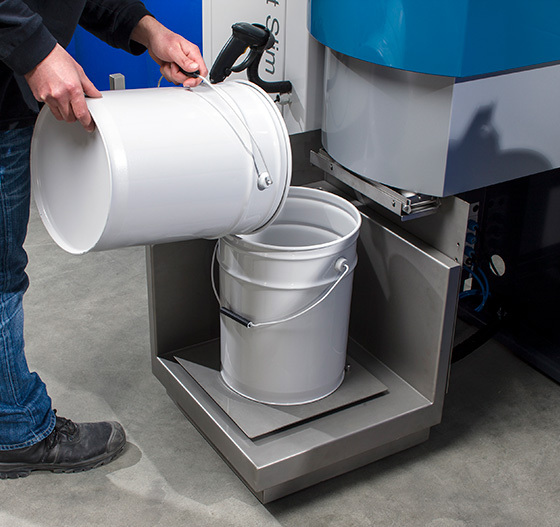 The design of the dispense head enables height adjustments to accommodate buckets of maximum 470 mm and the integration of an optional high volume component.